Rajasthan, India's largest state by area incorporates big and spacious cities like Udaipur, Jodhpur, Jaipur and Ajmer. Udaipur, which is known as the Kashmir of Rajasthan holds numerous and brilliant constructions reflecting the glory of Rajput Kings. It was voted the Best City in the world in 2009 by the Travel + Leisure magazine and is now one among the favorite wedding destinations for Indians as well as foreigners. It is also a popular place for organizing various national and international cultural events. Magnificent palaces, lovely lakes and ancient temples makes it a perfect spot for people of any age. Havelis and countless narrow, crooked, timeless streets add the human counterpoint to the city’s natural charms. No matter which country you belong to, you will always love varieties of dishes from worldwide. Whenever you go somewhere for a trip you should try at least some special dishes of that place. Rajasthan is well known for its traditional cooking styles and spicy dishes. Rajasthani breads are made out of conventional staples of the region like corn, barley and millet which are grounded into flour. Traditionally the locals preferred to prepare such items that could be retained for a few days and consumed without heating them. Paucity of water in the region has witnessed extensive use of dairy products by the inhabitants like milk, butter and butter milk so as to compensate or reduce the water content while cooking. Rajasthani cuisine consists of game meat and dishes like laal maas, safed maas, khad khargosh and jungli maas. Udaipur is best known for its beautiful tourist sites and also for a vast variety of restaurants just like any commercialised city is expected to. Most of the restaurants offer rooftop space and they charges more for it. From these rooftop restaurants you can have a view of the lakes, the mountain range or sacred temples. Most of the restaurants are relatively better furnished and supplies a good ambiance with tasty food. One of the attractive fact about these restaurants is that you can find people of different ages here. The food here caters more to the non-Indian tastes so one has to specifically ask for the food to be made spicy or masaledar, which is a pain. But because the industry is very foreigner-focused we also found a variety of food available like baked goods, pasta, crepes, etc. It will be a little difficult choosing the best from restaurants in Udaipur since all holds some uniqueness in the way of making dishes or serving it. 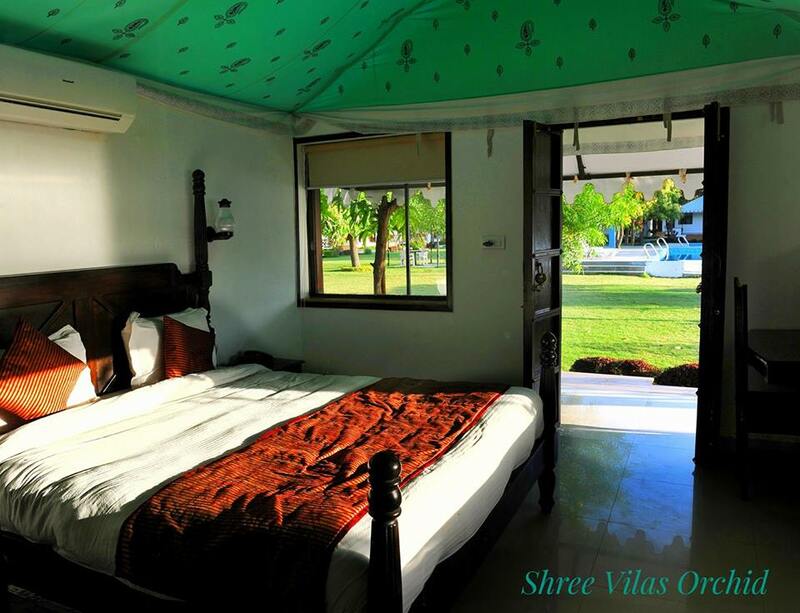 Shree Vilas is one of the best hotels that situates near Lake Pichola, the central attraction of the city. Don't you want to enjoy morning coffee on the banks of a placid lake full of freshness? You can also have spicy Rajasthani cuisine, churma, childa, dahi mein aloo, paratha etc. for midday meal. An evening with a cup of tea and the setting sun before you will make your day complete. 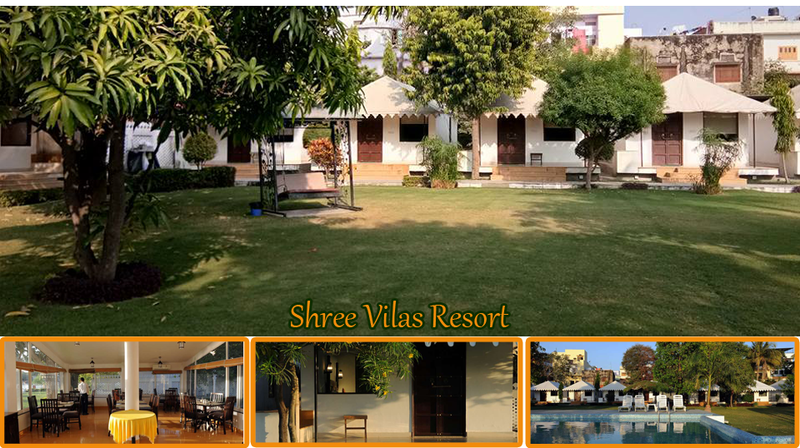 If you are a food and nature lover together then Shree Vilas can make you blessed. 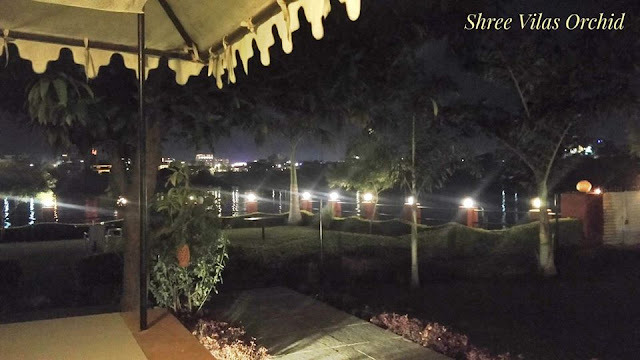 Shree Vilas Restaurant is the in-house restaurant at Hotel Shree Vilas, Udaipur. Both indoor and outdoor seating options are available overlooking the Lake Pichola. 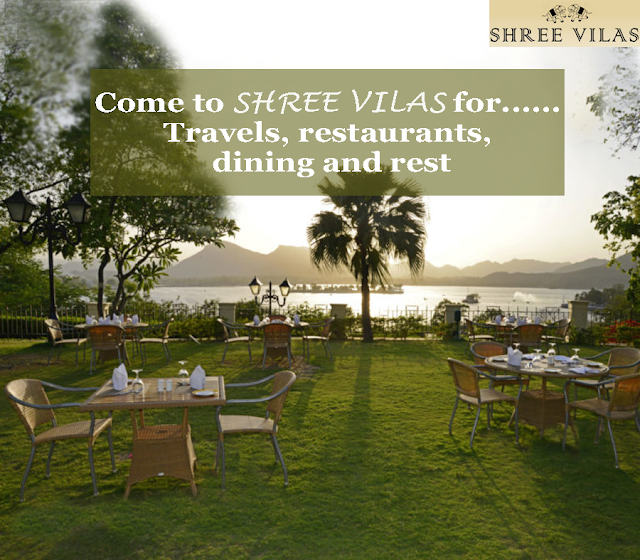 Shree Vilas Restaurant, one of the finest budget restaurants in Udaipur is open from 8am to 10pm. Buffet is also available upon an occupancy of more than 5 rooms. 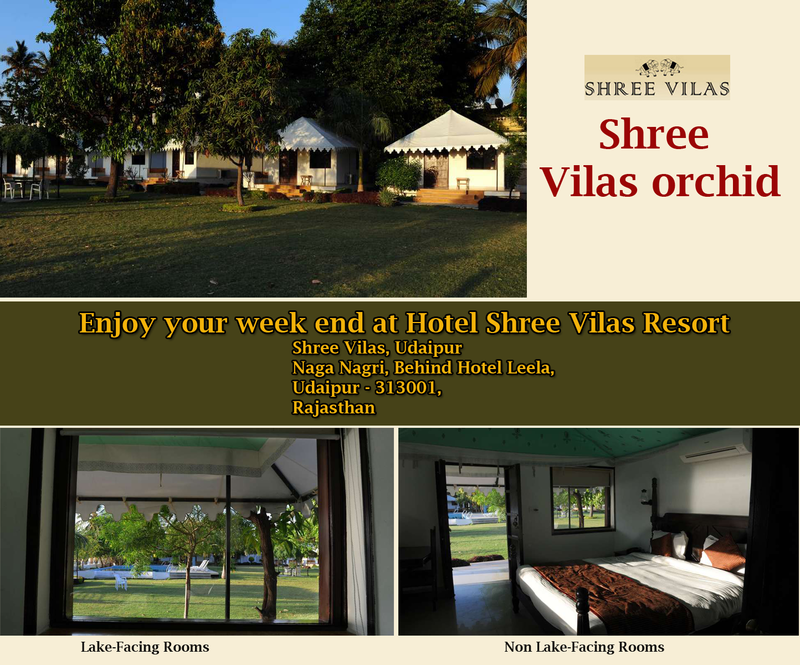 Shree Vilas, the famous Lake Facing Hotel Udaipur invites you to have a nice time with them. You can have delicious meals and a delightful stay there with your friends or family. Astonishing view of the Lake Pichola and the moderate climate makes this place The Kashmeer of Rajasthan. Meaningful amenities and splendid views are promised, along with excellent service from our staff. The indoor and outdoor restaurant will make you enjoy the most sumptuous meals while basking in the beauty of the magnificent Lake Pichola. Come stay with Hotel Shree Vilas, Udaipur and experience the utmost beauty of this magical city. Enjoy the spirit of natural goodness! Have you decided to be in Udaipur, the City of Lakes to enjoy your vacation? If you have then you must be decided how to be there and what places you need to be to know the culture and tradition of the place. But have you selected the hotel where you need to stay so that you can make your vacation more enjoyable, comfortable and cost-effective? 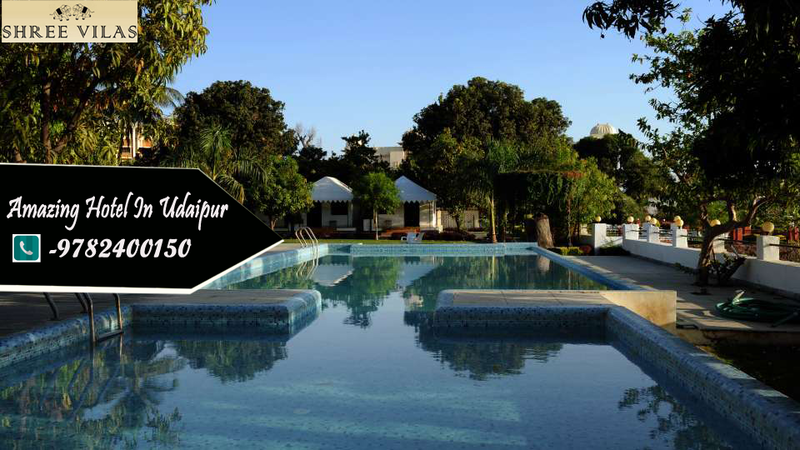 There need to be certain considerations to be made when you wish to select the best of the hotel in Udaipur. Let us have a look at those. Sort out the hotels: You need to, first of all, make a list of hotels which makes your requirements. The requirement of yours may be cost-effectiveness or having a look at the customer reviews may help you to make a list where you can stay. Doing this you will be able to make a list of Lake Facing Hotel Udaipur where you can stay. Location of the hotel: This needs to be the second consideration that will help you to select the hotel where you can stay when in Udaipur. There may be some tourist destination where you wish to be often or maybe you want to be at a place which is well connected by means of communication. 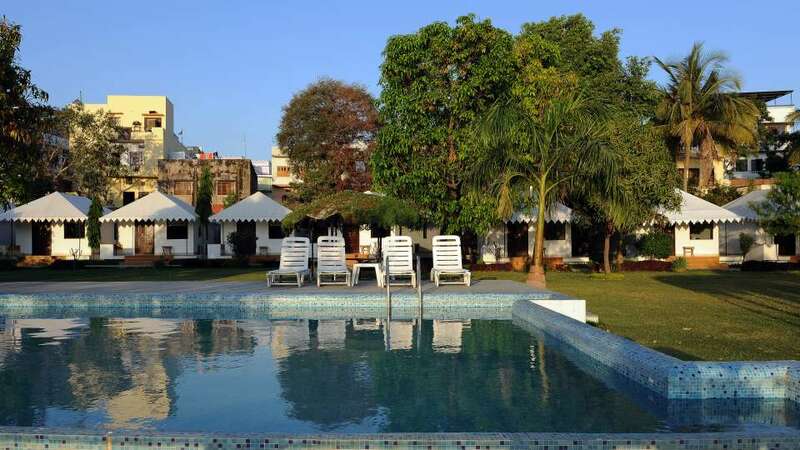 As Udaipur is a city which is famous for its lakes you will find many such budget-friendly hotels which you can select situated near to a lake and give you an awesome view of it. The facilities that you require: This is by far the most important consideration that you need to make while selecting the best hotel for your stay when in Udaipur. The want of facilities may be different and how must select the one which makes your requirement. The rooms must be such that you can have privacy, safety and comfort while you relax in the rooms that are offered. The rooms must have proper air-conditioning, make available means of entertainment by having TV being installed, you must have access to telephone and WI-FI even when you are in your room and you must expect to have the best of room and laundry service from the hotel. Last but not the least you must be able to have a beautiful view of the lake while relaxing in your room. You may wish to have a relaxing swim after you return from your daily tours to the places of tourist interest. The hotel that you select must have such swimming pool where you can swim and relax to rejuvenate yourself for the next day trips. The best of the hotel will have a 24*7 travel desk which will be at your service in case you require any help regarding your travel needs. 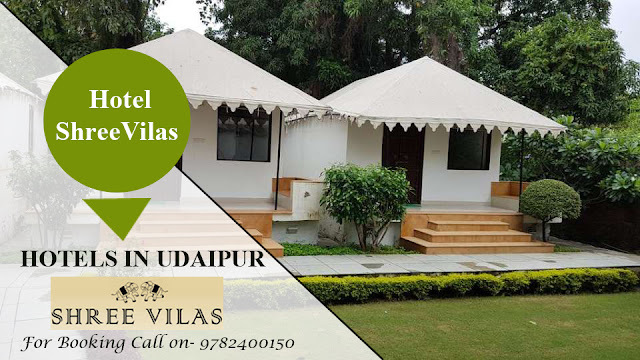 They must able to help you in the booking of air or train tickets, make arrangement for a comfortable journey to places of tourist importance or make you aware of certain local traditional cultural exposure which you can have while you are in Udaipur. The hotel must be one which can offer you the best of dining exposure. The restaurant must be so located that you can have a fascinating view of the lake and have the experience of tasting local cuisine to satisfy your culinary taste buds. Welcome to the good-looking city of Udaipur. This exotic destination in Rajasthan is one place which will allow you have whole that you are looking for a perfect holiday. In fact, it is counted between the topmost romantic cities of the globe. A holiday at this city will allow you marvel at the formation of both man and nature. Here, you will come across 5 beautiful lakes which will allow you enjoy the beautiful group. Udaipur is also recognized as the 'Venice of East'. You will be astounded to see that people from all over the globe visit this city and get pleasure from the whole that the city has to offer. In fact, Udaipur is also a perfect destination for honeymooner. The city has amazing for every traveller. So what is the wait for? Book your trip to Udaipur for your next holiday and enjoy the perfect and serene lakes, beautiful mountains of the captivating Aravali range, picture-perfect gardens, exotic locations, multi-colored fountains, attractive temples, luxury and Lake Side Luxury Hotels in Udaipur and a range of multi-cuisine restaurants. The good part is that you will also find a broad range of Hotels in Udaipur. After a daylong visiting the attractions you would like to relax at these comfy hotels in Udaipur. There are five chief lakes in the cityviz. Lake Pichola, FatehSagar Lake,UdaiSagar Lake, Rajasmand Lakes and Jaisamand Lake. There are a few less important ones as well like Badika Talab, DoodhTalai, Kumharia Talab etc. These lakes make a big part of Udaipur visiting the attractions. 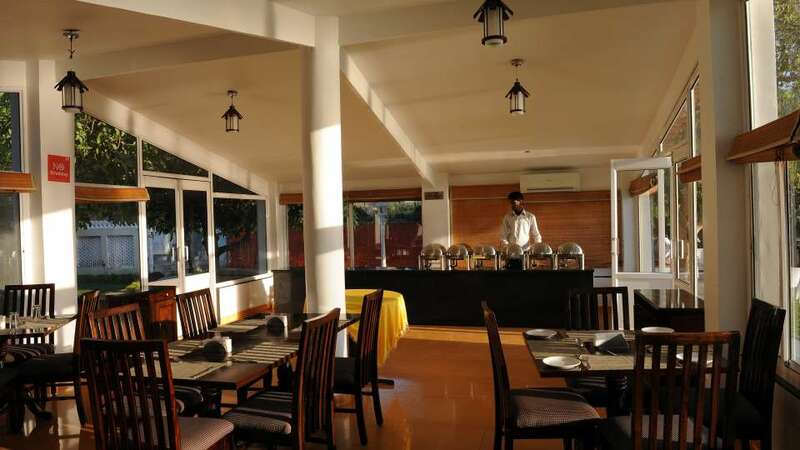 You may easily enjoy the view of one of the lakes from your hotel space, take a boat ride across another or eat dinner at one of the multi-cuisine Budget Restaurants in Udaipur in its surrounding area. A lot of hotels have been built nearby these lakes. You can find both lavish ones and budget hotels as per your first choice. They are not only close to the lake but also offer scenic sights of the watercourses, the Aravali hills or the gorgeous temples in the city. 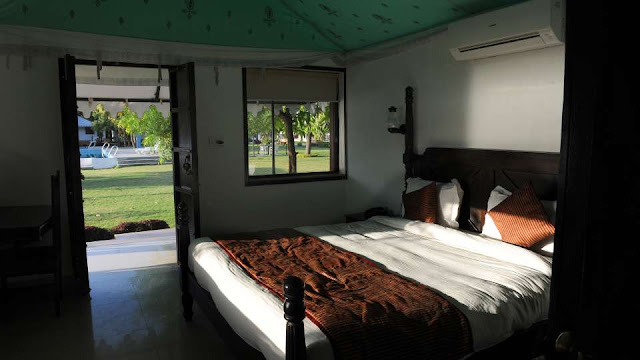 The kindness of best lake view hotel Udaipur focuses on delivering luxury and comfort to the visitors. 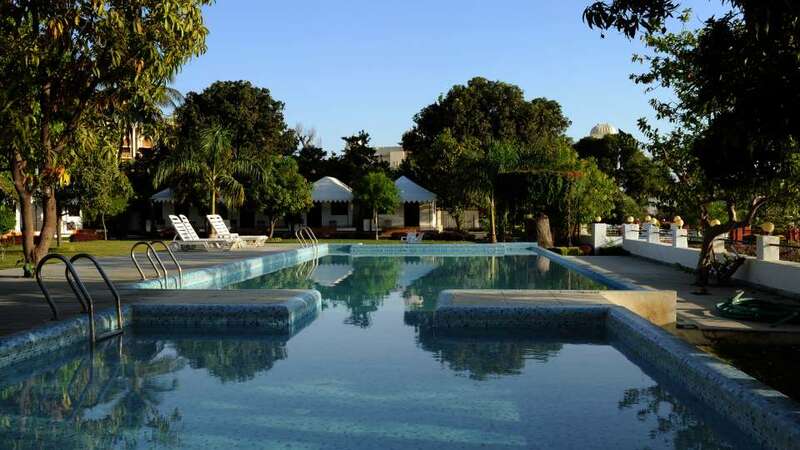 You can find cozy lodgings, clean and peaceful interiors, fine-looking swimming pool and polite employees. You also find Budget Restaurants in Udaipur where you can get pleasure from authentic Rajasthani food served with the famous urging hospitality of Rajasthan. Luxury hotels of Udaipur also have inner restaurants to gratify every guest with different preferences. In Udaipur,chefs make food with fewest amounts of water and favour, as an alternative, to use more milk, buttermilk, and butter. Take pleasure in the finest recognized Rajasthani food at Udaipur Luxury hotels such as the dishes of bati and churma dal, but for the brave vacationer, excited to conduct an experiment, there is a package of choice available. From heritage hotels to budget hotels, all you want to do is make a decision and you will have just what you want. 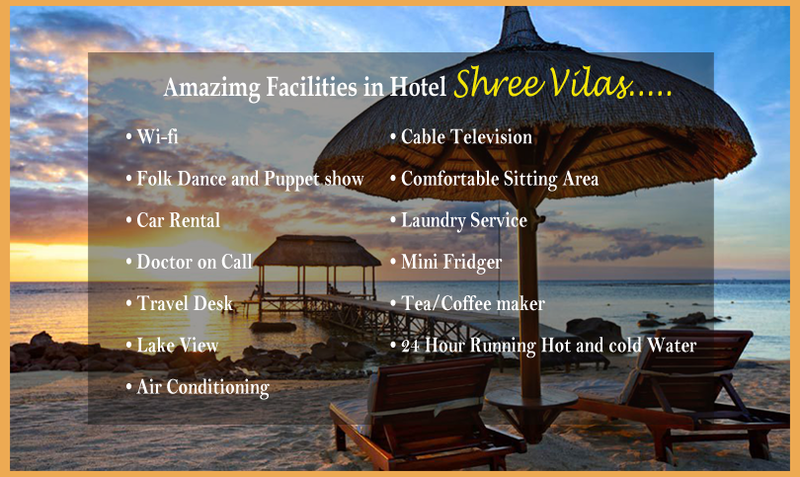 So make a decision what kind of vacation you want to enjoy and you will have your type of hotel in Udaipur. If you are seeking forward for a luxurious holiday and desire to enjoy all the lavishness of life, you should book yourself into one of the lavish hotels in Jaipur. Here at these hotels, you can like all the top notch worldwide facilities along with the traditional Indian hospitality. 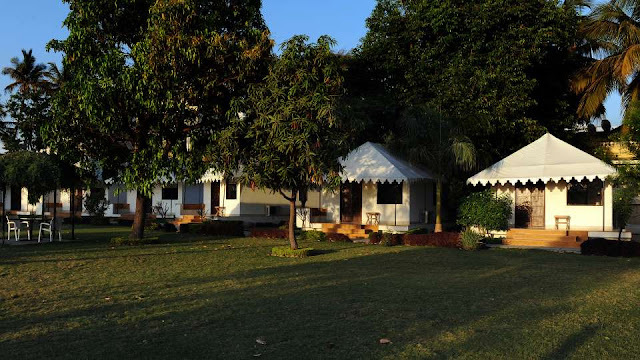 If you desire to go a little simple in your pockets, you want to book your stay in one of the budget hotels in Udaipur. These Lake Side Luxury Hotels in Udaipur might not offer you with whole the brilliant and top-notch services but they will certainly not deprive you of all the ease that you deserve. Their hotels are just right for travellers who are eager to stay for a long duration, here in the city. The shimmering lakes, the purple ridges of wooded Aravali Hills spreading across the horizon and beyond, dotted with fabulous Havelis, historical palaces, narrow alleys and crooked streets Udaipur has this sense of romanticism that could only found enshrined in some classic novel. For a long time, the city has remained one of the fantastical places where the time as past comes and meets the present with all its primeval appeal to create a synthesis that goes beyond human comprehension as far as words and symbols are concerned. Yes, you can only feel the magical aura of the city and there is no way you can translate it into a lingual documentary. Of course, there will be times and moments of silence as you take a serene boat trip, and you might have the unflinching longing of describing the poeticism of the environment, but alas; not even masters of the literature could ever accomplish that feat. Nope, you cannot experience it any other way until you stay in a Lake Facing Hotel Udaipur and discover the hidden meanings that the city’s architecture and lifestyle conceal in them. The inspiring art combined with colorful bazaars and lovely countryside can be the romanticism of rustic nature, yet exotically distinct. And the best way to discover the place is to land here in this part of the world where marble and mosaic are as common as the stars out there in far sky glittering ingloriously without purpose. Yes, the city’s temples, palaces and tall hotels embossed with marble are anything but bland. 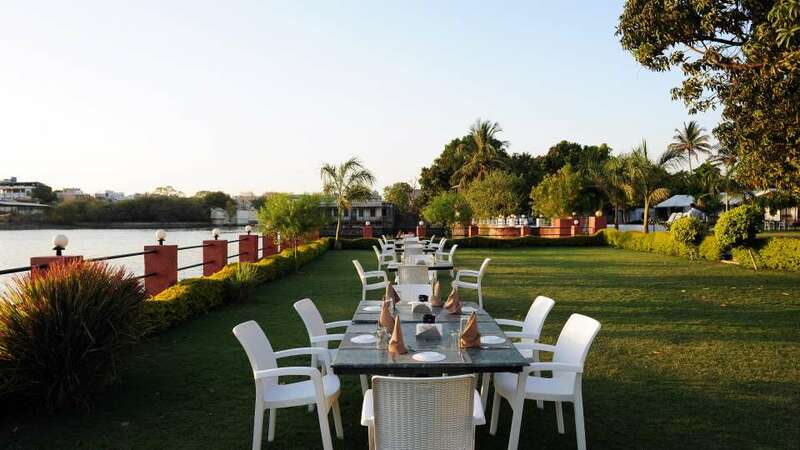 And to accommodate people across the globe, the city’s tourism industry offers Budget Restaurants in Udaipur where you can dine with your loved ones watching the sun slowly slipping down into the lake like a shy child. And as the nightfall, the city wakes up to the charm of glittering lights, the noise from the bazaars fading in and out disappearing into the darkness leaving the gravity of the silence to engulf you from all the directions. The romance of the whispering wind charmed by the serenity of the lake where the silvery moon finds an outlet to get dazzled by the slightly wavy water drifting you into a romantic trance where love seems useless and intimacy finds a spiritual avenue to manifest the utter loneliness of soul that is lost in the search of true love. If all that sounds a bit too slow and spiritual, then you have other things to do such as roaming around the beautiful countryside on the horseback, or visit the bazaar or go for shopping. And then of course, you can slip into a bar have a glass of wine with some local delicacy. It every way the city will enchant you. So, when you feel the pain of life bothering you from all the directions, remember that it is time to get mesmerized by the legacy of the past, the serenity of nature, sound of the silence and love of life. And all that you wish can only be found in the country that is known for its tradition. Whether its expensive palace hotel or Budget Restaurants in Udaipur, you are going get the extraordinary feeling of life, romance, and love. So, it is time to see the beauty of life and get mesmerized by the beauty of the nature, architecture, culture, and the sense of legacy that portrays romanticism and beauty of solitude. So, book now and get ready for an awe-inspiring experience. India since ages has been known for its ‘wealth, unexplored treasures, spices, beautiful destinations and man-made wonders’. Right from its esoteric arts to ayurveda and yoga to mystique arts – India never failed to attract attentions of people from across the world. Be it, ‘Persian Invaders or be it British Raj’ all came to India for a reason. They plundered its richness and some also got lost in its hypnotic splendours. India from its length to its breadth is adorned with both natural and man-made beauties. Its destinations like ‘Udaipur in Rajasthan, Beaches of Goa, Backwaters of Kerala, one – horn rhino in Assam, Royal Bengal Tiger in Corbett, and untouched valleys of Kashmir’ still makes to the worlds’ must visit destinations before one die. Udaipur and Kerala has always competed with each other for the crown of most romantic holiday destination in India. 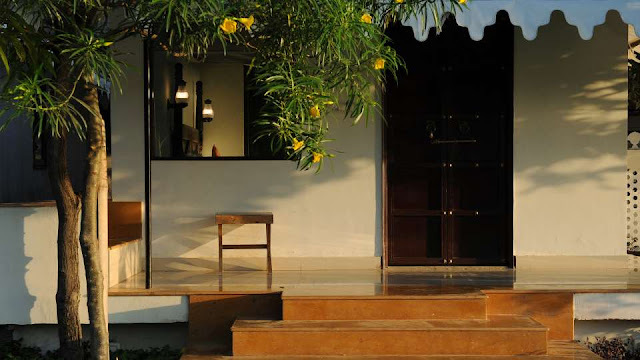 One is known for its enamouring lakes and the other is known for its fascinating backwaters. Honeymooners always have to make the tough choice between the Natural lake view hotel Udaipur and houseboat cruise Kerala’. Fancy staying at a lake side hotel? Udaipur - best known as the city of lakes, is situated in Rajasthan, India. One of the most favored tourist destinations in India, Udaipur is also known as Venice of the East and Kashmir of Rajasthan. This beautiful city has the most amazing palaces and forts since it was home to the most heroic Maharajas. Glistening lakes, spacious palaces, historic forts, shopping places and delicious eateries, Udaipur has all that you are looking for in a perfect holiday destination. This colorful, vibrant and romantic city offers so much for all types of travelers. Udaipur is enclosed by the ‘Aravalli hills’. Situated at the heart of a dry and parched desert area, Udaipur is also known as an ‘optical illusion’ whose boiling climatic conditions has never been able to deter the guts of the voyagers. On the whole, Udaipur is beautiful, noteworthy and appealing. 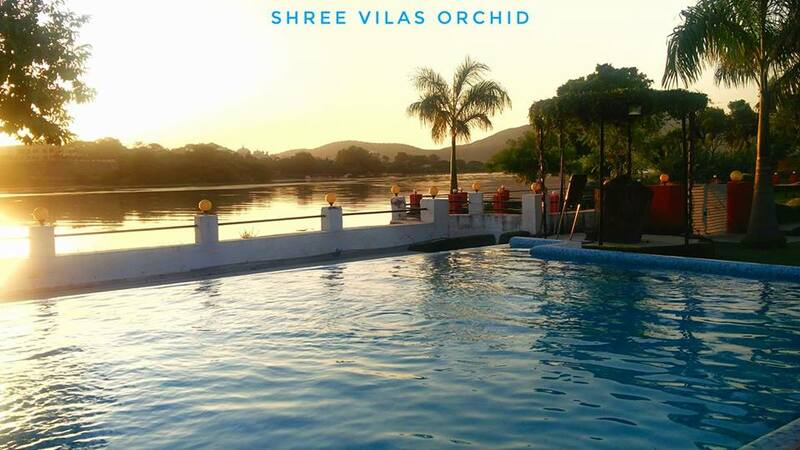 Many lake side luxury hotels in Udaipur offer a magnificent view of the lake. Staying there and waking up to this splendid view is unimaginably wonderful. Nicknamed as the City of Lakes, Udaipur, is home to some of the beautiful lakes in the state. The most prominent being Lake Pichola, Fateh Sagar Lake, Udai Sagar and Jaisamand Lake. The other famous lakes include Swaroop Sagar, Lake Dudh Talai, Lake Jiyan and Sagar Rang Sagar Lake. Lake Pichola is the oldest and largest lakes in Udaipur. One of the most beautiful and picturesque lakes of Rajasthan, India, Lake Pichola is located in the heart of Udaipur. The Jag Mandir and Jag Niwas are two islands in the lake. The Fateh Sagar Lake is an artificial lake located in the north of Lake Pichola. It has three small islands in it, the Nehru Park, public park and Udaipur Solar Observatory. It was built in 1978 by Maharana Jai Singh, but got its name from the Maharana Fateh Singh, who made additions to it. The Udaisagar Lake, located at a distance of 13 kms east of Udaipur, is known as the most beautiful and scenic lake in the city. The Jaisamand Lake is famous as the second largest artificial lake in Asia. 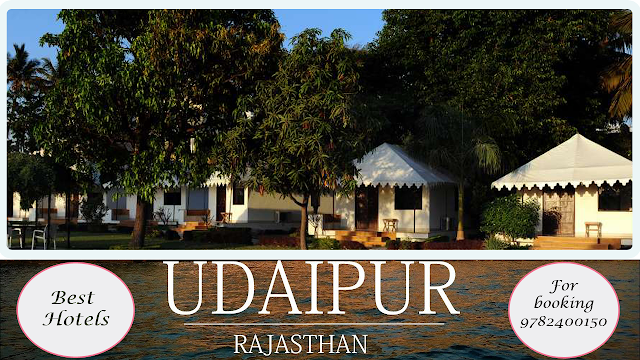 It is located at a distance of 48 kms from Udaipur. Located at a distance of 48 kms from the beautiful city of Udaipur, the Shrinathji Temple is situated on the banks of the river Banas. The Shrinathji temple of Nathdwara is famous for the Shringar of the deity where the idol is dressed in a new dress every day. Devotees come from all over the world come to see the idol's different forms. This magnificent temple is overcrowded during the festivals of Holi, Diwali and Janmashtami, but if you are on a visit for religious purposes, this place is a heaven for you. The Shrinathji Temple is also known for its savory feast, which is very popular and serves hundreds of visitors every year. Hotels near Shrinathji Temple are plentiful. You can stay there can experience spiritual bliss. When you explore the city of fairy tale palaces and sparkling lakes, opt to stay at a hotel that makes you live like a Maharaja. Far from the city life experience the perfect serenity at Shree Vilas, Udaipur. Feast at their outdoor lakeview restaurant, the most authentic Rajasthani delicacies. The rooms at this lakeside hotel offer amazing view of the Lake Pichola. Staying at this hotel, you can wake up to the stunning view of the lake. Rejuvenate your mind and soul during your stay and take the pleasure of luxurious amenities at affordable rates. Situated in a valley, surrounded by four lakes and hemmed in by lush green hills of Aravallis is the magical city of Udaipur. This city was founded in 1553 by Maharana Udai Singh II as the new capital of the Mewar kingdom. Spread across the fertile, circular Girwa Valley to the southwest of Nagda, which was the first capital of Mewar. In recent years it has become very popular destination for tourists from all over the world. This beautiful city in Rajasthan is commonly known by many name like the "Venice of the East", the "Most Romantic City of India" and the "Kashmir of Rajasthan". The lakes, palaces and lively workspaces, food and culture attract foreign and domestic visitors every year. Udaipur is a prismatic city of fairy-tale palaces, lakes, temples, gardens and narrow lanes that carry the flavor of heroic past, epitomizing valor and chivalry. There are three interconnected lakes - the Fateh Sagar Lake, the Lake Pichola and the smaller Swaroop Sagar Lake. Apart from these pristine and mesmerizing lakes, there are various places of tourist interest in Udaipur worth visiting. Stand on the balconies of the City palace for a panoramic view of "Jag Niwas" (Now Lake palace hotel), with Jag Mandir on one side and the city of Udaipur on the other side. Various other palaces like Dilkhush Mahal, Sheesh Mahal, Moti Mahal and Krishna Vilas, speak of the rich culture and heritage. Visit the beautiful laid out "Rock Garden" from where one can enjoy sunset view in Lake Pichola and panoramic view of old city. The Monsoon palace (Sajjangarh) palace looks its best during the rainy season. It offers an extensive overview of the city's lakes, palaces and surrounding countryside. There is a small ornamental garden, which was a popular relaxing spot where royal women came for a stroll and hence the name Sahelion-ki-Bari. This garden has four fountains with delightful pools, chiseled kiosks and marble elephants. At a distance of 48 kms in the north-east of Udaipur, is Nathdwara situated on the right bank of Banas River. Here is a 17th century temple that dedicated to Lord Shrinathji (Lord Krishna). The name 'Nathdwara' means the 'gate of the lord'. Also known as 'Haveli of Shrinathji' it is a prominent pilgrimage of the Hindus / Vaishnavas. This temple is a must visit to feel the spiritual ecstasy and get the blessings of Lord Shrinathji. Many hotels near Shrinathji Temple are lined up to give you a comfortable stay. Another spiritual hub for devotees is the Jagdish temple that is dedicated to the preserver of the universe, Lord Vishnu. It is celebrated for being the largest temple in the city of Udaipur and stands in the City Palace Complex of the city. The atmosphere inside the temple is of utter calm and serenity. The deity of Lord Jagdish centrally located, encircled by four smaller deities of Lord Ganesha, Sun God, Goddess Shakti and Lord Shiva. Many of the Rajput era palaces have been converted to luxurious hotels. Stay at these luxurious hotels and experience the royal amenities offered by them. Resorts like the Shree Vilas are an ideal getaway that offers a spellbinding view of the Sajjan Garh Palace atop the towering peaks of the Aravalli Hills, with greenery all around and a tranquil atmosphere. Eat meals that are fit for a king at several budget restaurants in Udaipur. From open air restaurants overlooking the beautiful lakes to the delicious and filling thalis, food in Udaipur will melt your heart.